T-SHIRT - My Tee is a simple basic slogan tee from Zara. It's simple and comfy, just what you want! 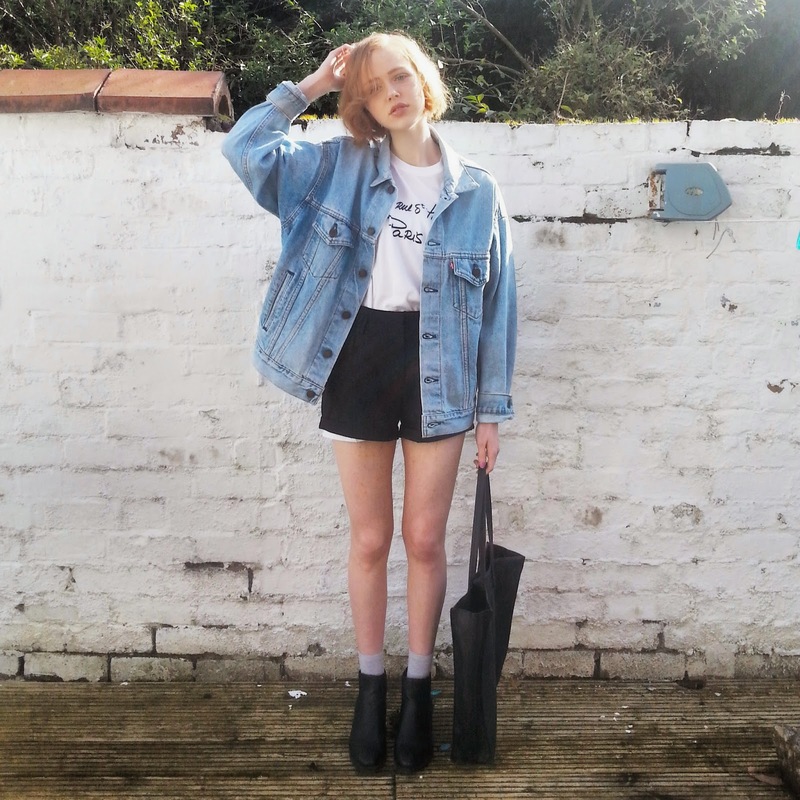 DENIM JACKET- My Denim jacket is Levi's from Pop Boutique. 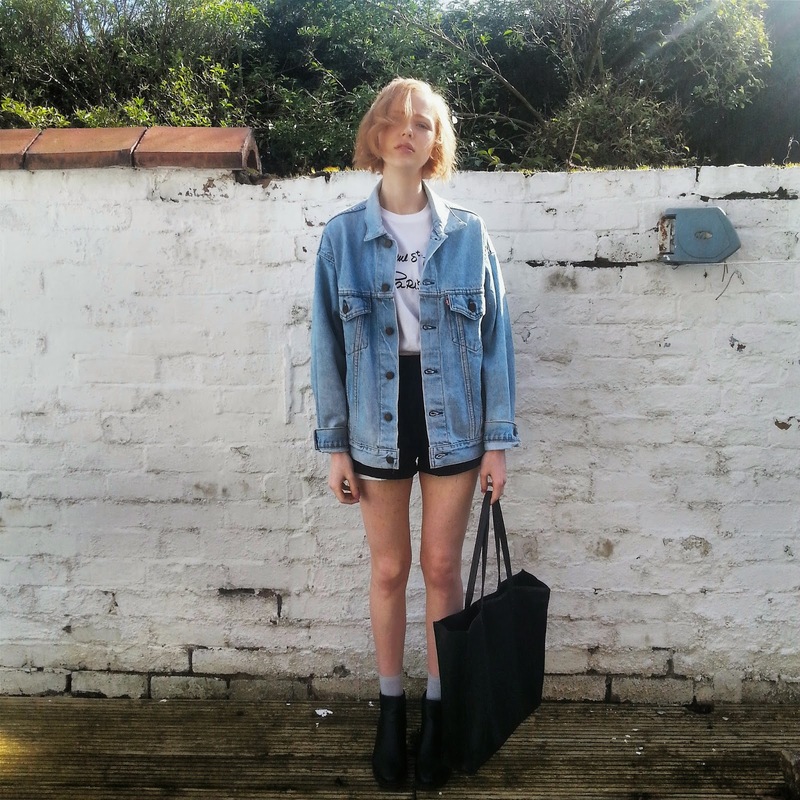 I love the oversized look and the colour is the perfect spring denim. 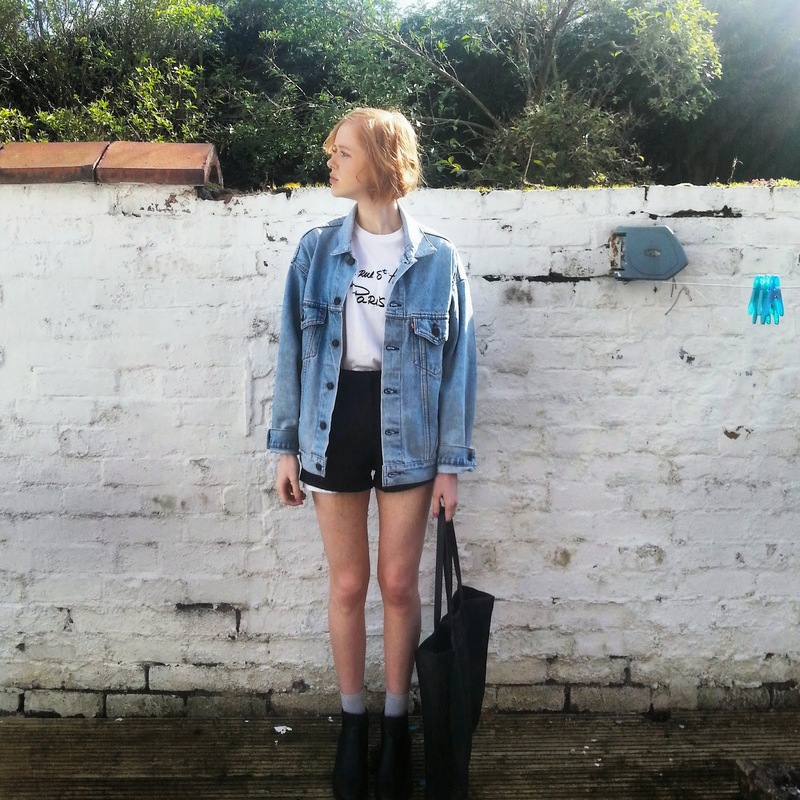 SHORTS - These are simple black shorts, super cheap from Missguided. JUMPER - This oversized jumper is from Zara - perfect to throw over any outfit to add layers or just to keep you warm. BAG - Black ASOS Tote. SHOES - Once again, my New Look Chelsea Boots. Freaking love your outfit today 😍 but jealous that it's warm enough for you to wear shorts!